A delegation of leading businessmen from the Kurdistan Region of Iraq, led by the President of Kurdistan’s Chamber of Commerce and Industry, Dara Jalil Khayat, participated in a conference held at Spain’s Chamber of Commerce geared toward fostering business ties between Spain and the Kurdistan Region. The conference was organised by Leading Brands of Spain Forum who came up with the initiative as a platform to introduce key business persons from both countries. The delegation was made up of sixty leading businessmen from Kurdistan and Iraq who were in search of establishing areas of mutual collaboration with their Spanish counterparts. The companies that participated were from a variety of sectors including construction, oil & gas, building materials, real estate, tourism, & health. The conference was inaugurated by Jose Luis Bonet, the President of Spain’s Chamber of Commerce and his Kurdish counterpart, Dara Jalil Khayat. Both expressed their willingness to work together in order to promote economic opportunities and areas of collaboration between the Spanish and Kurdish private sectors. The KRG Representative to Spain, Daban Shadala, was also at the event and praised the initiative aimed at establishing private sector ties between Spain and Kurdistan. The delegation have now left to Barcelona where they will participate in a conference of the same kind, followed by Valencia before heading back to the Kurdistan Region of Iraq. 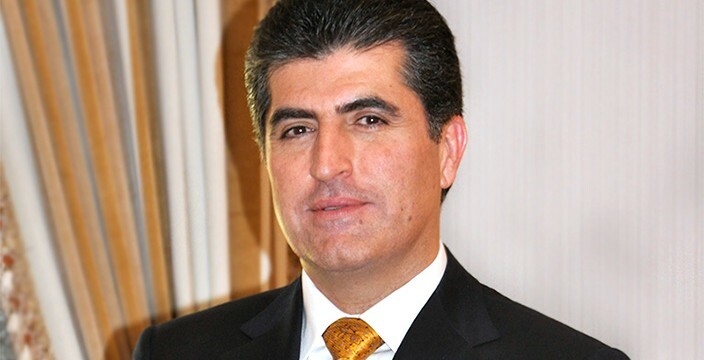 Upon the liberation of Kobane, Kurdistan Region Prime Minister, Nechirvan Barzani, congratulated Syrian Kurdish fighters and the Peshmerga, and all defenders of freedom around the world. He also expressed his gratitude to Turkey and other allies for their support and participation. On the occasion of the liberation of the town of Kobane we offer our heartfelt congratulations to the Syrian Kurdish fighters, our Peshmerga, people of Kobane, and all the people of Kurdistan and those who support freedom around the world. We especially congratulate President of the Kurdistan Region Masoud Barzani who treated Kobane the same as Sinjar and other parts of Kurdistan. He tirelessly worked to ensure our allies would provide critical assistance and secure access for our Peshmerga forces. I offer my gratitude to Turkish President Recep Tayyip Erdogan and Turkish Prime Minister Ahmet Davutoglu who were key to our Peshmerga securely reaching Kobane. Critical to the liberation of Kobane was the assistance of the United States and allies with air support and arms and ammunition. And I offer profound gratitude to the Government of Turkey for welcoming and helping thousands of refugees from Kobane. Kobane became a strong symbol of resistance and defiance to ISIS terrorist organisation. All of Kurdistan’s people including political parties were united in one voice to help Kobane. Today on the occasion of its liberation by young Syrian Kurdish men and women fighters as well as our Peshmerga, I congratulate all political parties in this part of Kurdistan and every single Kurdistani. I hope very soon all villages and towns of Kobane will also be liberated along with all Kurdistani lands occupied by ISIS terrorists. Kurdistan Region Prime Minister, Nechirvan Barzani, yesterday received the Mayor of London, Boris Johnson, accompanied by Nadhim Zahawi, member of the British Parliament and a number of British businessmen. Mr. Johnson expressed his pleasure for visiting the Kurdistan Region and witness personally the developments that have been achieved, and observe the progress made by the Kurdistan Peshmerga forces in their fight against the Islamic State terrorist organisation, known as ISIS. 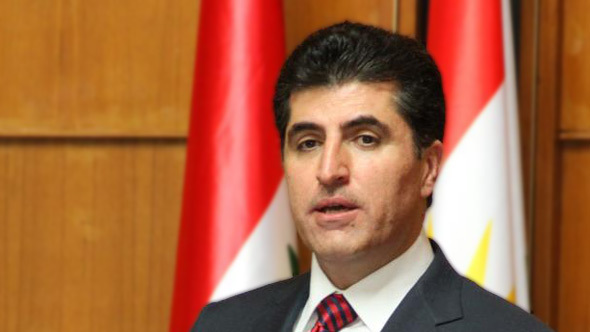 He considered that the terrorist organisation’s threat goes beyond the Kurdistan borders, to the entire world. 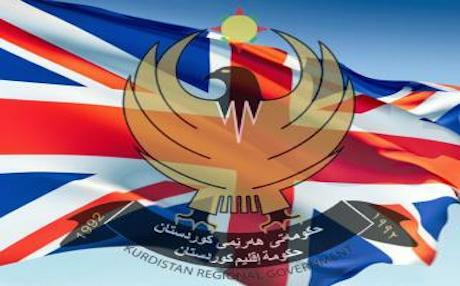 He stressed London and Britain’s desire to build strong relations with the Kurdistan Region, which would encourage cooperation with public sector and investment by British private companies in various economic sectors in the Kurdistan Region. Prime Minister Barzani expressed his gratitude to the mayor of London for his and his delegation’s visit, which he described as a move that would help to observe closely the situation in the Kurdistan Region. He also expressed his government’s gratitude for the humanitarian and military aid that the British government has provided to the Region, recalling that the government and the people of Great Britain have helped the Kurdistan Region in the nineties of the last century. While Prime Minister Barzani reiterated the desire of the Kurdistan Regional Government to develop relations with Britain and benefit from its expertise, he expressed his hope that the UK will provide further military aid and heavy weapon to the Kurdistan Region Peshmerga forces in their fight against terrorism. The Mayor of London informed the Prime Minister about his meeting with British military personnel who are training the Kurdistan Regional Government Peshmerga forces, which he described as satisfactory. The London meeting to counter the ISIS terrorist group is being held at a time when Kurdistan has been directing fighting this terrorist organization, and when our brave peshmerga, by sacrificing their lives, have inflicted heavy defeats on the ISIS terrorists. Following the ISIS onslaught, the peshmerga have sacrificed their lives to protect hundreds of thousands of displaced people, including members of different ethnic and religious communities. They have liberated large swaths of territory regardless of the background of the people of these areas. We were expecting everyone to show respect to the sacrifices made by the people of Kurdistan and its peshmerga by inviting a representative from Kurdistan to this event and similar such events. There is no doubt that the most effective force to be fighting global terrorism on the ground and in a direct way are the peshmerga. We express the dissatisfaction of ourselves and our people with the organizers of this conference. It is disheartening for us to see the people of Kurdistan make sacrifices, while others to receive the credit. The people of Kurdistan deserve to have their representative at such international gatherings to convey the views of the people of Kurdistan and its brave peshmerga. The people of Kurdistan are bearing the brunt of the situation and no individual or side can represent it and speak on its stead in international gatherings. The Committee is launching an inquiry into the UK Government’s policy on the Kurdistan Region of Iraq, in the wider Iraqi and regional context. How the FCO is organising its presence and resources in Iraq, in the light of the developing relationship between the Kurdistan Region and the rest of the country. Kurdistan Region Prime Minister, Nechirvan Barzani, yesterday received in Erbil Archbishop Giorgio Lingua, Apostolic Nuncio in Iraq and his accompanying delegation. Archbishop Giorgio Lingua said that the Vatican follows the situation in the Kurdistan Region very closely. He conveyed Vatican’s gratitude to the Kurdistan Region for sheltering and assisting the internally displaced persons and refugees, particularly the Christians, who fled the violent repression of the Islamic State terrorist organization, known as ISIS. Prime Minister Barzani stressed the commitment of the people and government of Kurdistan to peaceful coexistence and their culture of tolerance. He pointed out that all the displaced people and refugees receive equal assistance, without any distinction. The envoy of His Holiness, Pope Francis, expressed the Vatican’s gratitude and appreciation to the KRG Prime Minister for the speech he delivered on the Christmas Eve, which helped strengthening the spirit of peaceful coexistence. Prime Minister Barzani conveyed the gratitude of the people and government of Kurdistan Region to His Holiness, the Pope, for Vatican’s support to the Kurdistan Region. Kurdistan Region Prime Minister, Nechirvan Barzani, yesterday received Germany’s Defence Minister, Ursula von der Leyen and her accompanying delegation in Erbil, which included a number of military and political officials, a number of members of the German Bundestag, German Ambassador to Iraq and the German Consul General to the Kurdistan Region. The German Defence Minister reiterated that Germany views the Kurdistan Region Peshmerga forces with respect and appreciation as they continue to fight against the Islamic State terrorist organisation, ISIS, on behalf of the free world. She added that the Peshmerga forces fights against the terrorist organisation have been efficient and that they have proven that ISIS is not that force that cannot be defeated. Minister Ursula von der Leyen stressed that Germany will continue to support and provide assistance to the Kurdistan Region. She also expressed her deep concern regarding the terrorist attacks that took place in Paris last week. On his part, Prime Minister Barzani expressed his gratitude and delight to the German Defence Minister for her second visit to the Kurdistan Region, so that she can closely observe the situation on the ground and the latest developments. Prime Minister Barzani expressed Kurdistan government and people’s gratitude for the military and humanitarian assistance that Germany provides to Kurdistan Region. He pointed out that although further developed weaponry is needed, the military aid and training being provided to the Peshmerga forces by the German government have had a significant effect in changing the balance of power in favour of the Peshmerga forces and helped them marking significant victories in the fight against ISIS. The two sides also discussed the latest political, security and military situation both in Iraq and in the wider region. Kurdistan Region President Masoud Barzani today welcomed German defense minister Ursula von der Leyen in Salahaddin today to discuss German military aid to peshmerga forces. In a meeting with President Barzani and the military leadership of the KRG, the German defense minister, who was accompanied by a number of security advisors and German members of parliament, reiterated her country’s commitment to stand by the people of Kurdistan in the fight against ISIS terrorists and commended the role of the peshmerga forces in taking the fight to them. She added that Germany would continue to help the KRG by providing weapons and military training to the peshmerga forces. President Barzani thanked the people and government of German for their decision to assist the KRG and said that the people of Kurdistan are deeply grateful for Germany for coming to their aid. He said that the military aid from Germany has been very effective in battles. He added that with the assistance provided by Germany and other countries, the peshmerga forces now have the upper hand and will continue to push back the ISIS terrorists. But he warned that this will be a drawn-out fight, and the peshmerga require more military assistance and more advanced weapons. The attack on the Charlie Hebdo magazine in France today was a crime. It is unjustifiable and we condemn it strongly. On behalf of the Kurdistan Regional Government, I extend our heartfelt condolences to the families who had their loved ones stolen from them. We stand with the people of France against terrorism in whatever shape or form, just as they have stood with the people of the Kurdistan Region as we fight terror in our lands. Kurdistan Region Prime Minister, Nechirvan Barzani, yesterday visited the recently liberated town of Sinoun and Sheikh Sharaffadin Shrine on Sinjar Mountain. Meeting members of the Kurdish Yezidi community in the area and commanders of the battlefront, fighting against the Islamic State terrorist organisation, known as ISIS, Prime Minister Barzani was briefed on the latest developments and the situation in the recently liberated areas, the process of the return of the displaced families to their homes and the provision of basic public services in the town. Prime Minister Barzani stressed that Kurdistan Regional Government will dispatch special teams to the area in order to assess its basic needs. Prime Minister Barzani hailed the role of the commanders and the Yezidi Peshmerga forces for their resilience and confronting ISIS from the beginning of the attacks by this terrorist organisation. Sheikh Ismaiel, Yezidi religious dignitary in Sheikh Sharaffadin Shrine, considered Prime Minister Barzani’s visit to the shrine as visiting the homes of the entire Yezidi community. He said that since the main route to the mountain has been freed, humanitarian relief starts to reach the displaced Yezidis. Qasim Shesho, one of the Yezidi commanders who stayed in the mountain and fought against the ISIS terrorists, considered President Massoud Barzani and Prime Minister Nechirvan Barzani’s visit to the region as historical. Prime Minister Barzani also met the military commanders and officers who stayed on the mountain from the early days of ISIS attacks and protected the mountain, the displaced Yezidi Kurds and the Shrine. He was briefed on the latest military developments and the Peshmerga forces military operations.